AND for the sake of your children, you both should sit with elders and sort this through mutual consent. You say, you do not love him, then why stretch it in courts and throw dirt on each other....end of the day, the children see all this and suffer. Be friends even after your divorce, just for the sake of your children.... and take care of them jointly. Even if you keep the kids, they would also need the father....so, why not give what they need. Your husband is doing this because he needs an early divorce...he am sure would not do anything..
if you are particular about getting divorce then mcd is best.you can get decree within six months to a year.even then you keep all call recordings and emails as proof to prove his cruelty.suppose if he withdraws petition halfway during a mcd proceeding you need to go for a contested divorce.in that case these proofs will be of immense help to u. In the given situations, if you are no more interested to continue your marital life with him even in the interest of your children, you may better call it a day with him by giving consent for mutual divorce, your tale of woes and other problems will come to an end. 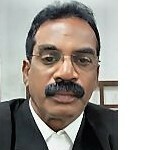 If you resort to legal actions against him namely by filing cases under the provisions of DV act or 498a or any other law with an idea to put an end to his torturous behavior, you may lose your little peace too due to running behind the complaints your have lodged against him and one fine day you will become fed up pursuing the case and will give them up very sadly losing your peace, time, energy and money. You are an employed person, think of all pros and cons and decide how to manage the crisis instead of hanging over it lament on it. Take one step at a time..... I assume you have a smart phone. I will suggest you download the following phone application and start recording his calls. Make sure you put your phone on SPEAKER whenever your husband calls b'se this application will then record his voice very clearly. If this doesnt work go and file a police complaint, you might want to take help by calling women's help line or an NGO before going to police station. YOU ARE A WOMAN AND YOU ARE PROBABLY NOT AWARE HOW MUCH STRENGTH YOU HAVE WITHIN YOURSELF ONCE YOU DECIDE THAT YOU WANT TO LIVE A HAPPY LIFE. Take one step at a time..... I assume you have a smart phone. I will suggest you download the following phone application and start recording his calls. Make sure you put your phone on SPEAKER whenever your husband calls b'se this application will then record his voice very clearly. Make sure you do some trial calls before you start recording your husband's calls. If this doesnt work....... go and file a police complaint, you might want to take help by calling women's help line or an NGO before going to police station.